The first steps of glycosylation. Dolicholphosphate serves as an membrane-bound anchor for the construction of glycanes. 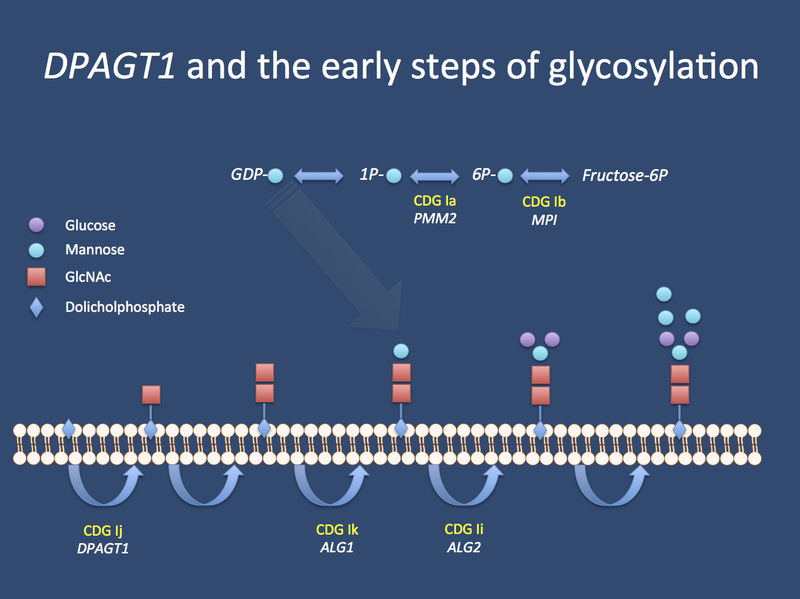 Enzymes implicated in Congenital Disorders of Glycosylation Type I (CDG I) are involved in these early steps of glycane biogenesis, including DPAGT1, which results in CDG Ij if deficient.